Croup is a common respiratory problem often observed in children. Though croup typically occurs in younger children, it is not usually a serious issue. A 2004 study published in the American Family Physician reports that viral croup affects children six months to 12 years of age, with a peak incidence at two years of age. Also, boys are more prone to this disease as compared to girls. 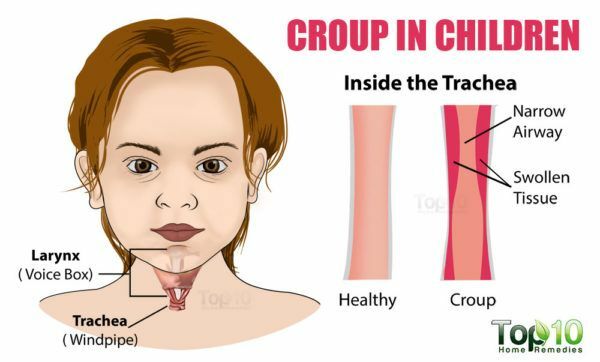 Croup can occur throughout the year, but mostly it predominates during the fall and winter months. Croup is usually caused by a viral infection, most often a parainfluenza virus. A study published in the Canadian Medical Association Journal reports that while human parainfluenza virus (types 1 and 3) is the most common pathogen, some other causative viruses include influenza A and B viruses, respiratory syncytial virus, rhinovirus, coronavirus, human metapneumovirus and adenovirus. This disease is highly contagious. A child may contract croup by breathing in infected respiratory droplets coughed or sneezed into the air by someone who has this illness. Infection of the upper airway results in swelling around the vocal cords (larynx), windpipe (trachea) and bronchial tubes (bronchi). This swelling causes the characteristic low-pitched cough, resembling the bark of a seal. The cough is often worse at night and gets aggravated by crying as well as anxiety and agitation. The swelling also causes breathing difficulty that may produce a high-pitched whistling sound. Apart from coughing and labored breathing, it is common to have a fever and a hoarse voice. Though the symptoms usually resolve within 48 hours, a severe upper airway obstruction can, rarely, lead to respiratory failure and arrest. At the same time, proper healing may take more time. Croup and asthma are common airway inflammatory diseases of the bronchus in the children. So, when a child is diagnosed with croup, it is important for doctors and parents to closely monitor the child for asthma development. A 2017 study published in the journal Medicine reports that younger children with croup should be closely monitored for asthma development for at least 3 years. If your child’s symptoms persist beyond three to five days or worsen, see a doctor immediately. 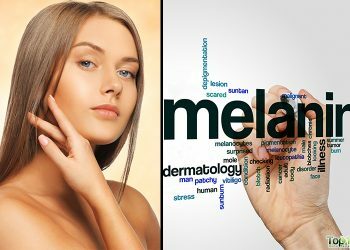 You also need to seek medical attention if your child shows symptoms that include severe breathing difficulty, difficulty in swallowing, rapid breathing, rasping sound when inhaling or exhaling (stridor) or presence of dark, blue-tinged skin near the nose, mouth or fingernails. If your child has mild symptoms of croup and is not very serious, you can try some simple home remedies to keep your child feeling more comfortable. Here are some home remedies for croup in children. One of the best home remedies to relieve the symptoms and get rid of croup is steam. Warm steam created from a hot shower helps alleviate congestion and makes breathing a bit easier. The warmth of the moisture will also thin the mucus and make it easier to expel. Though beneficial, steam inhalation should be carefully carried out with adult supervision. So, it is better to avoid the traditional method of steam inhalation where a pot of hot water is kept in front and you need to inhale the steam by covering your face with a towel. Instead, you can opt for a steamy shower. Run a hot shower and keep the door shut to prevent steam from escaping. Allow your child to inhale the steam for at least 30 minutes. Humid air helps ease breathing; hence you need to increase the level of humidity in your home and especially where your child sleeps. Moist air can also help with congestion and lessen the intensity of coughing fits. According to a study published in Respiratory Medicine in 2009, cold temperature and low humidity are often associated with higher chances of respiratory tract infections, and hence, a decrease in temperature and humidity preceded the infection. Use a humidifier wherever possible in your home and especially in the room where your child sleeps. Another option is to place a bowl of hot water in the room to increase the moisture in the air. You can also place a pot of water on the radiator in your child’s room. Whether you are using a humidifier or a bowl of hot water, be sure to place it in a safe place to prevent accidents. Note: Clean your humidifier regularly to prevent the build-up of mold. When your child is suffering from croup, you must try your best to prevent dehydration to reduce breathing problems in your child. Keeping the body hydrated is very important, as fluids can help thin the excess mucus that occurs with croup or other cold and flu viruses. Experts also believe that croup can be managed symptomatically by encouraging a good oral fluid intake. If your child refuses large amounts of fluids at one time, give smaller amounts more often. 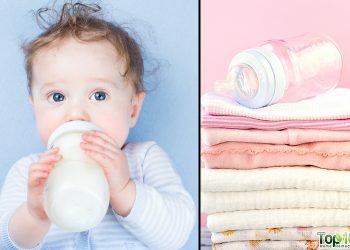 For small babies, breast milk or formula is fine. Electrolyte replacements can be given if recommended by a doctor. For older children, along with water, soup or frozen fruit pops help a lot. 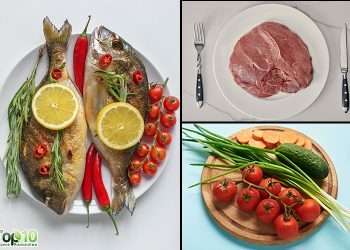 Homemade bone broth or light soups made with bone broth are also good. 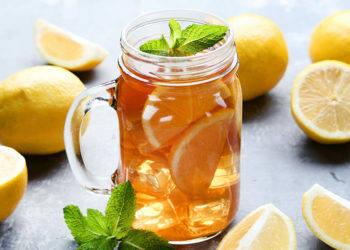 Apple juice, lemon juice or herbal teas also provide hydration with an added benefit of fighting the infection as well. A gentle chest massage with an essential oil blend can help ease tight muscles and promote relaxation. It will also make breathing easier for your child. Mix 10 drops of eucalyptus essential oil in ½ cup of warm, extra-virgin olive oil. Give your child a gentle chest massage with this aromatic oil, especially before bedtime to help him or her sleep better. 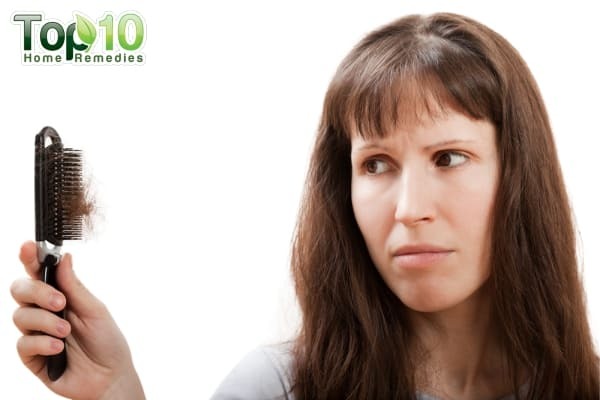 Another option is to mix 10 to 15 drops of oregano oil in 2 tablespoons of jojoba oil. Use this mixture as a chest rub before bedtime to ease coughing while sleeping. Alternatively, if you do not have an essential oil, then you can also use Vicks in its place. But if your child is 2 years of age or below, then it is recommended to consult a doctor before using Vicks for the child. Pediatrics published a study in 2010, in which parents compared the use of Vicks VapoRub, petrolatum and no treatment for symptomatic relief of their child’s nocturnal cough and found Vicks VapoRub to be highly beneficial for reducing symptoms cause of upper respiratory infections. Massage your child’s chest with some Vicks VapoRub from time to time. Keeping your child in an upright position can help make breathing easier and relieve congestion to a great extent. On the other hand, lying flat can lead to coughing fits, which will only aggravate the condition. Hold your child on your lap or put him or her in a favorite chair or infant seat to help ease breathing difficulties and coughing. If your child has a fever, a sponge bath can help bring it down. A cool water sponge bath will help regulate your child’s body temperature and provide quick relief from a fever by lowering the temperature for short term. Plus, it will help relax your child and help him or her sleep better. A 2013 study published in the Journal of Family Medicine and Primary Care reports that cold water sponging is safe and it should be encouraged for reducing fever in children. Soak a washcloth in room temperature tap or cool water, wring out the excess water and then sponge your child’s armpits, feet, hands and groin. You can give a sponge bath 2 or 3 times a day. Also, place a cold, damp washcloth on your baby’s forehead and change it every few minutes to reduce a fever. Older children can take a cool water bath or shower. If your child is above 1 year of age, honey is a good remedy for croup. With its antibiotic, antioxidant and immune-boosting properties, honey helps fight both bacterial and viral infections and can help relieve the symptoms of croup. In a 2012 study published in the journal Pediatrics, parents rated honey products higher than the silan date extract for symptomatic relief of their children’s nocturnal cough and sleep difficulty due to URI. Add 1 teaspoon of raw honey to a cup of warm water or milk. Give it to your child to drink 2 or 3 times a day. Another option is to mix 2 teaspoons of raw honey with 1 teaspoon of lemon juice. Give it to your child 2 or 3 times daily. Note: Do not give honey to babies younger than age 1, as it may contain bacteria that can cause infantile botulism. Bodies heal and repair themselves during sleep, so have your child rest and sleep as much as possible when suffering from croup. A 2015 study supports the idea that post-infection sleep helps to improve survival. However, do not let your child sleep in a flat position. An elevated position will help make breathing easier and coughing less likely. Also, do not allow your child to play outside or run around the house, as it will make coughing worse. At the same time, create a calm atmosphere, as any kind of stress will only worsen breathing difficulties. You can help your child feel calm and distracted with fun books and games. This will also promote faster healing. Do not give over-the-counter cold medicines to children younger than age 2 without consulting your doctor first. Encourage your child to cough or sneeze into his or her elbow to help prevent spreading the virus to others. Frequent hand washing and other hygiene practices by the sick child as well as other family members are important. Do not let your child in the vicinity of anyone who’s sick. Sunlight helps the body produce vitamin D and builds your child’s immunity, so expose your child’s arms and face to the sun for 20 minutes daily. Early morning sunlight is preferable. The harsh sunrays during peak hours can damage the skin. When suffering from croup, it is important to keep your child away from cigarette smoke, which will cause further irritation in the respiratory system. Add probiotics and foods rich in vitamin C to your child’s diet to improve immune function. Breathing cold outside air for a few minutes from time to time can help ease coughing fits. Comfort your child and keep him or her calm, as crying and agitation can worsen the airway obstruction. Association of croup with asthma in children: A cohort study: Medicine. LWW. https://journals.lww.com/md-journal/fulltext/2017/09010/Association_of_croup_with_asthma_in_children__A.10.aspx. Henry R. Moist air in the treatment of laryngotracheitis. Current neurology and neuroscience reports. https://www.ncbi.nlm.nih.gov/pmc/articles/PMC1628321/. Published August 1983. Barnes ND, Roberton NRC. Upper Respiratory Tract Problems. SpringerLink. https://link.springer.com/chapter/10.1007/978-94-009-7424-1_4. Published January 1, 1981. Horváth G, Ács K. Essential oils in the treatment of respiratory tract diseases highlighting their role in bacterial infections and their anti‐inflammatory action: a review. The Canadian Journal of Chemical Engineering. https://onlinelibrary.wiley.com/doi/abs/10.1002/ffj.3252. Published May 26, 2015. Aluka TM, Gyuse AN, Udonwa NE, Asibong UE, Meremikwu MM, Oyo-Ita A. Advances in pediatrics. https://www.ncbi.nlm.nih.gov/pmc/articles/PMC3894045/. Published 2013. Sleep fights infection. Journal of Young Investigators. https://www.jyi.org/2015-september/2017/3/26/sleep-fights-infection.